Jessy Tomskos Big Hearts EP is out now on iTunes for the world ! Patrick James Clark writes letters to Beatrice and releases his debut EP ! 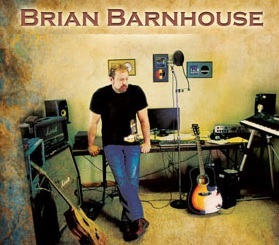 Brian Barnhouse signs with ConcertHouse Music and releases new album "Clarified" !!! Earth and the Next Society are hustling their new track! Brian Barnhouse picked up a guitar when he was 15 and never looked back. By 18 he was playing in local Canadian cover bands including Crossfyre, Fast4Ward, and Nebraska Band. With Nebraska, Brian travelled all over the Midwest. It was during his time with Nebraska that the band's booking agent knew of a traveling cover band that was looking for a guitarist. Brian was flown out to audition for the band RAYZE on New Years Eve of 1989. Brian landed the slip and spent 9 months with RAYZE traveling all over the USA (Seattle, Atlanta, Dallas, Toledo, Daytona Beach), and even one week in Canada. Cutting his skills playing covers 5 to 6 nights a week. It was with RAYZE that Brian got his first taste of what it was like to write your own songs. After his time with Rayze, Brian headed home to Nebraska and formed a band called Alibi and wrote and recorded 9 songs during 1991. Around 1992, Alibi would eventually turn into Mother Tung. Mother Tung immediately hit the road on the Cover circuits, and would remain there for 4 years straight. 1995 was the last year that Mother Tung would be a "Traveling Band" and after some band member changes, Mother Tung would go home, play only weekends, and never travel out of state again. Mother Tung opened up for many major acts including Jackyl, Quiet Riot, Kansas, and more. The band was a finalist in Motley Crue's "Kick Start Your Career" contest with two songs being an "Honorable Mention" in the 15th Annual Mid-Atlantic Song Writing Contest. The band played over 700 nights live all over the USA and would go on to sell out their debut album. Brian is a seasoned touring artist with a passion for song writing.